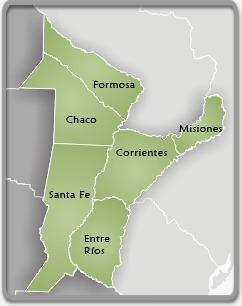 This is a region of large rivers, humid tropics, red earth, magnificent forest, a virgin forest full of huge trees and extraordinary flora and fauna. 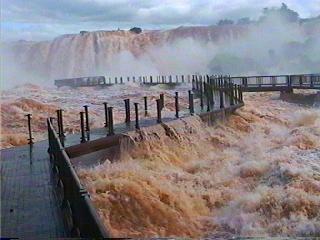 Great Waters – “Iguazú” in the Guaraní language – overflowing into one of the world’s wonders: the Iguazú Falls. A scenery of exuberant beauty spreading along the Iguazú National Park, Saltos del Moconá (Moconá Falls), Río Pilcomayo National Park, El Palmar National Park, Esteros del Iberá (Iberá Swamps) or the Chaco plains. Apotheosis of Nature, where the Jesuit ruins, declared World Heritage by the UNESCO, are a vivid testimony of the Society of Jesus’ fruitful work. Today, there have been 23 visitors (126 hits) on this page!